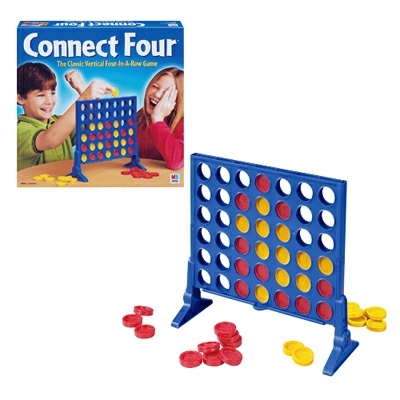 My Family Fun - Connect Four Most popular classic vertical checkers board game! Most popular classic vertical checkers board game! This board game is like vertical tic-tac-toe. 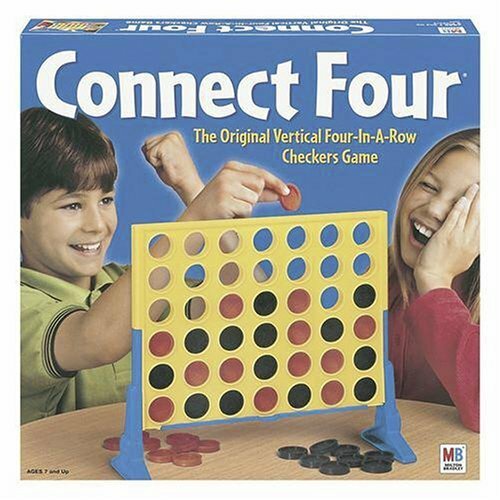 Unlike tic-tac-toe, however (as the name suggests), you must get four checkers in a row. One player has red checkers; the other has black checkers. To play, alternate turns at dropping one of checkers down a slot at the top of the upright grid. The first player to get four checkers lined up in a row in any direction--horizontal, vertical, or diagonal--wins the game. For 2 players. Game includes: grid, two end supports, 21 black checkers and 21 red checkers.